How about buying on for example AT&T where BOGO deal gives you $750. And unless you are like me who desn't care slight improvement in screen tech, iPhone X is OLED vs XR LCD with bit larger screen. 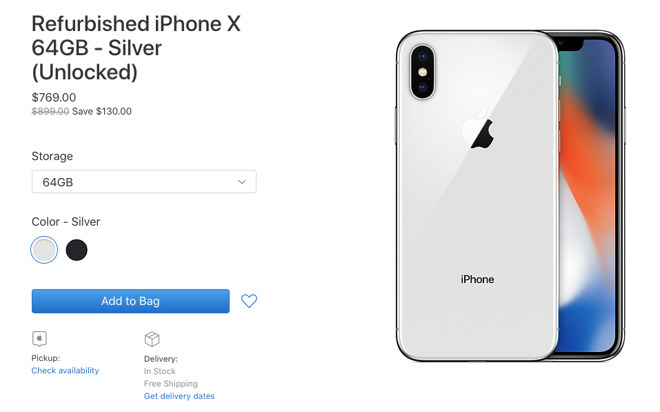 Seems to me the XR is a better deal. With a used X, you’re getting OLED, 2X zoom, 3D Touch and stainless band. Getting that in a used device doesn’t seem a good deal. These are 4 year devices - after a new battery 3 years in - and people really shouldn’t be trying to save $300 when having a phone for that long. Just get a XS. If $800 is indeed a time of purchase limit, the XR is faster, will have better battery life, better camera mostly. The OLED is only an advantage with watching videos imo, and that’s what one does all the time, I think that is the only big advantage. Some of us live alone and have zero use for a second phone. These BOGO deals are bogus. They look good, but yes - they are only truly a good deal if you need to get two phones at the same time. I was thinking the exact same thing. You're also getting a better processor with the Xr. When trading in a phone with extra storage, you get almost no premium for the extra storage. It's like it's irrelevant. But, in buying a reconditioned phone (that was likely traded in) the price sources off the original sales price and the price difference between the base storage model ((64Gb) and the upgrade (256gb) remains the same as it was at the time of the original sale. I don't expect my pet peeve to change anything Apple does, but this just seems illogical and unfair. Basically after you bought a brand new iPhone X with AppleCare+ but it was broken anytime after 2 weeks, you’d get a replacement iPhone, not brand new, but a refurbished one. And your point is? What?